MotivationMed ett fokus på framtiden och stora utvecklingsmöjligheter för sina medarbetare arbetar Epiroc attraktivt med Employer Branding. 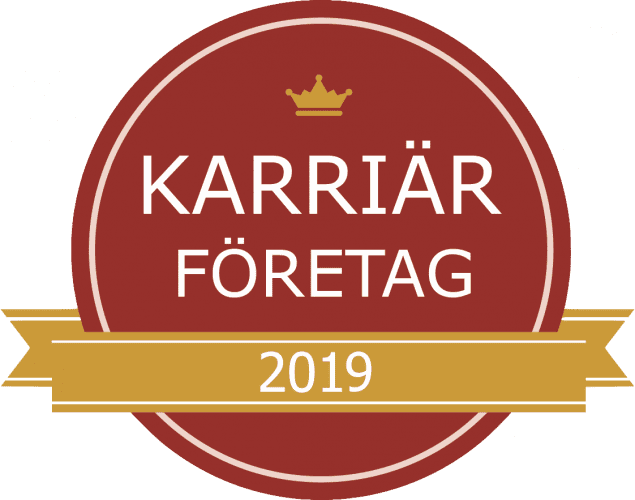 Genom ett engagemang, positiv arbetsmiljö och idéer som blir till verklighet utses härmed Epiroc till ett av Sveriges Karriärföretag 2019. Epiroc is a leading productivity partner for the mining, infrastructure and natural resources industries. With cutting-edge technology, the company develops and produces innovative equipment, consumables and service for use in surface and underground mining, infrastructure, civil works, well drilling and geotechnical applications. Customers all over the world rely on our expertise and innovations to help grow their businesses. We provide equipment for drilling and rock excavation, and a complete range of related consumables and service to customers in more than 150 countries. Epiroc had revenue in 2017 of SEK 31.4 billion (USD 3.7 billion) and has more than 13,000 employees. Principal product development and manufacturing units are located in Sweden, the United States, Canada, Germany, China and India. Epiroc was part of the Atlas Copco Group, founded in 1873, until June 18, 2018 when Epiroc was distributed to the shareholders of Atlas Copco and listed on the stock exchange.